Over the weekend I messed around with some peppers and turned some healthy raw garden harvest into moderately unhealthy hors d’oeuvres. 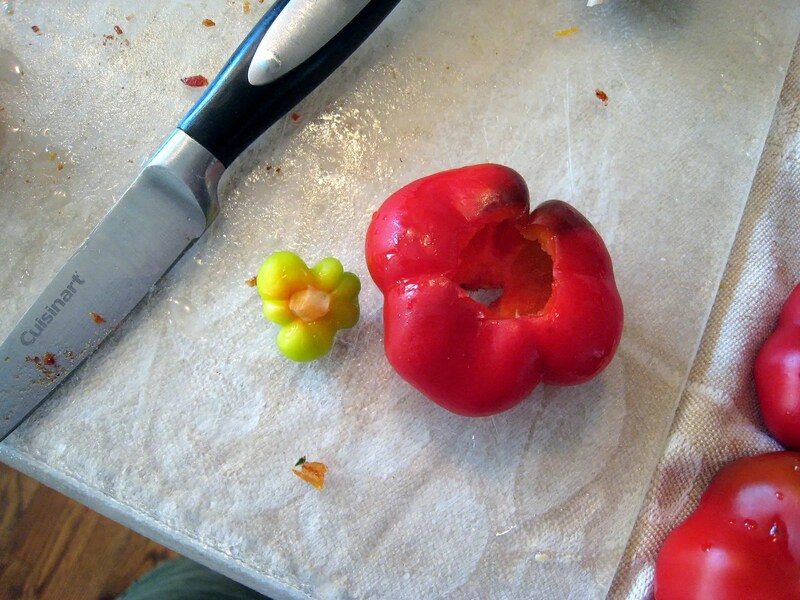 Odd discovery: As I was prepping the pimentos, I discovered two that contained embedded embryonic mini peppers. 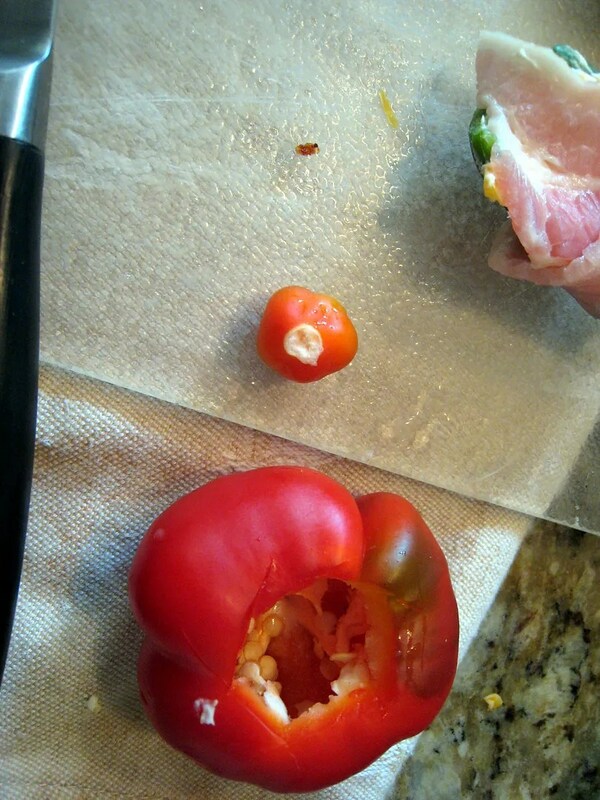 You can see the split in the bottom of the larger “host” pepper above; I could see the little green one through the hole. Odd. 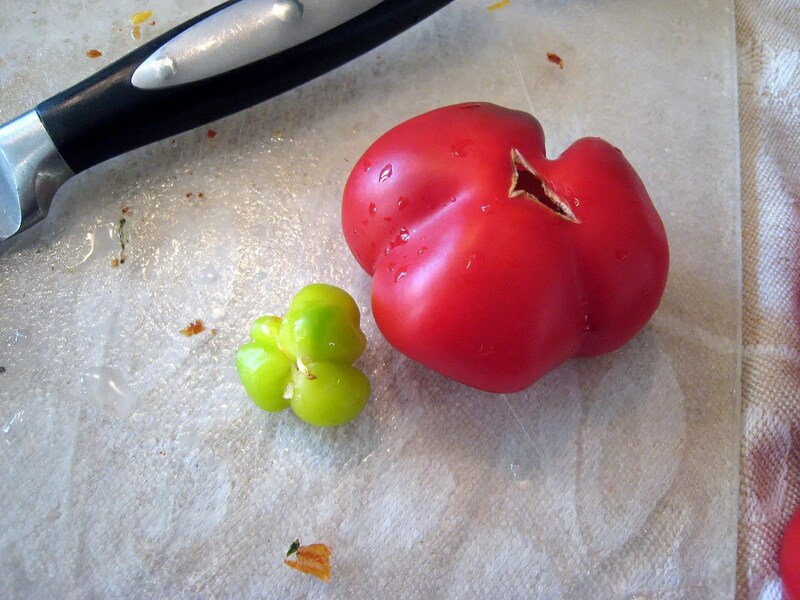 The larger ones were prepped and consumed but I passed on the smaller ones – those scenes from the movie “Alien” leave me cautious 25+ years later. 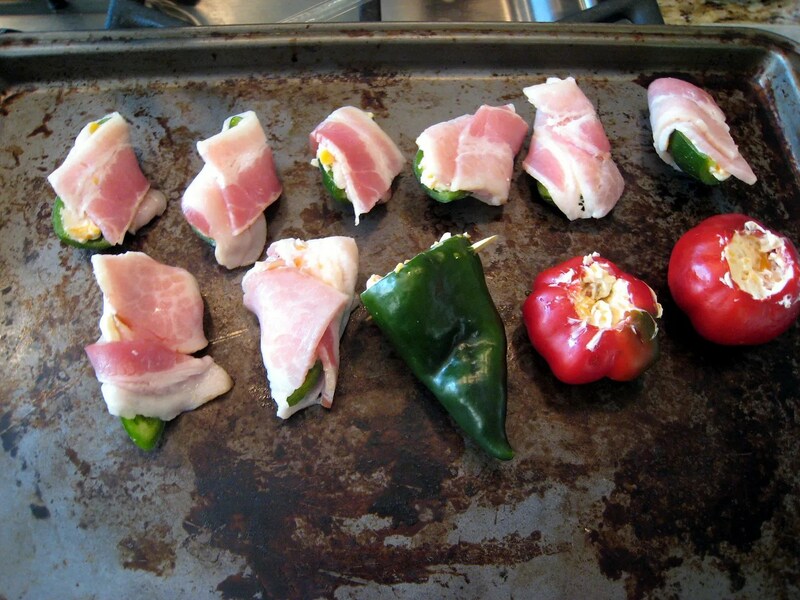 The poblano and pimentos got the same cheese stuffing but with crumbled cooked bacon in the mix. These were roasted in a convention oven @ 450 for 10-12 minutes. No “after” pictures as they didn’t last long enough- tasty. As for the healthy vs unhealthy bacon debate, I found a proponent for the healthy argument. He talks a good game and seems confident, what do you think? I bet he won that argument.